Among the many reforms that landed India’s mobile industry such tremendous success, was the shift in the interconnection pricing regime, from Receiving Party Pays to Calling Party Pays in 2003. Mobile tele-density leapfrogged and retail tariffs declined steadily. Interconnection eliminates the need for a customer to subscribe to multiple networks in order to be able to communicate with all other customers and is, therefore, indispensable for the functioning of a competitive telecommunications market. It falls under the category of conduct regulations which regulates firm behavior using price controls. This paper empirically tests the market outcomes driven by regulatory evolution in the India’s interconnection regime. More specifically, it establishes a relation between interconnection usage (termination) charges on retail prices of mobile services in India. This is academically referred to as the waterbed effect. 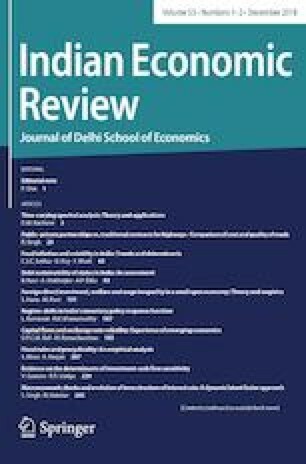 Using a system of simultaneous equations with sub-national data for mobile operators in India for a period of 29 quarters from 2009 to 2016, the paper does not find that the market for mobile services in India is statistically interlinked with the market for wholesale termination, with the exception of postpaid connections which demonstrate a significant tide effect. Quarterly data on 26 mobile operators in nine countries located in north-western Europe from 2003 to 2006. All countries fall within the high-income category with very high mobile penetration rates. High termination charges are associated with low subscription prices (water-bed effect) if preferences are the primary source of variation in termination rates). A higher fixed mobile termination rate increases fixed subscribers via the waterbed effect. Additionally, increasing the termination rate decreases the subscribers on the other network. This effect occurs as higher mobile termination rates increase the cost of fixed to mobile calls. Alexander, P. J., Candeub, A., Cunningham, B. M. (2007). Network growth: Theory and evidence from the mobile telephone industry, 35th Telecommunications Policy Research Conference. https://papers.ssrn.com/sol3/papers.cfm?abstract_id=2111605.